A celebration of what everyone *really* loves: good whiskey. 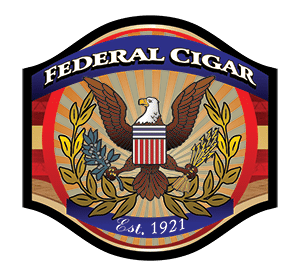 Enjoy shot and flight specials of 10, 12, and 15-year aged Pappy Van Winkle from Old Rip Van Winkle Distillery, and pair an official Pappy cigar with it, made with tobacco aged in Pappy Van Winkle whiskey barrels. Boxes of Pappy cigars will be available in retail for a limited time. 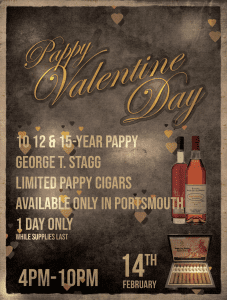 We’ll also have George T. Stagg from Buffalo Trace Distillery, so celebrate the worst holiday in the best way possible.